Condition: We are pleased to offer for sale a very hard to find vanity tray in the American Pioneer pattern. This unusual piece is in Undamaged Condition without chips, cracks, or mold damage. The color is really pretty. American Pioneer is notorious for having damage on the hobs. We have thoroughly checked the hobs and have found them to be damage free. This beautiful tray has three indents that are made to fit the American Pioneer puff box and perfume bottles. Condition: We are pleased to offer for sale a very hard to find vanity tray in the American Pioneer pattern. This unusual piece is in Undamaged Condition without chips, cracks, or mold damage. The color is really pretty. American Pioneer is notorious for having damage on the hobs. We have thoroughly checked the hobs and have found them to be damage free. This beautiful tray has three indents that are made to fit the American Pioneer puff box and perfume bottles. You will love adding this hard to find tray to your American Pioneer or Vanity Set Collection. American Pioneer - (1931-1934) (Amber,Crystal,Green,Pink ): American Pioneer was produced by Liberty Works. This striking hobnail pattern differs from many other hobnail patterns because pieces have a stylized blocked shape between sections of the hob pattern. 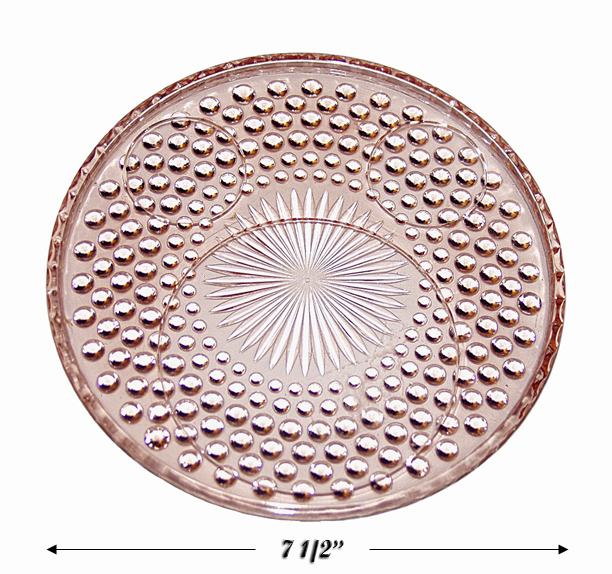 American Pioneer offers pieces not usually available in other Depression Glass patterns. Some of these pieces include a dresser set, covered kitchen jugs, and several styles of lamps. Liberty Works: The little known glass company of Liberty came into existence in 1903 when it was established in Egg Harbor, New Jersey as Liberty Cut Glass Works. Liberty cut and decorated fine glassware which they obtained from overseas. Often this glassware was sent back to Europe after being decorated. As the company expanded and Liberty became better known, the company reorganized and became Liberty Works. This change came right around the Depression, so Liberty Works became a serious contender marketing the machine made mass produced glassware that we have now dubbed "Depression Glass." Liberty Works made many sets that contained specialty items such as egg cups, batter pitchers, and syrups. 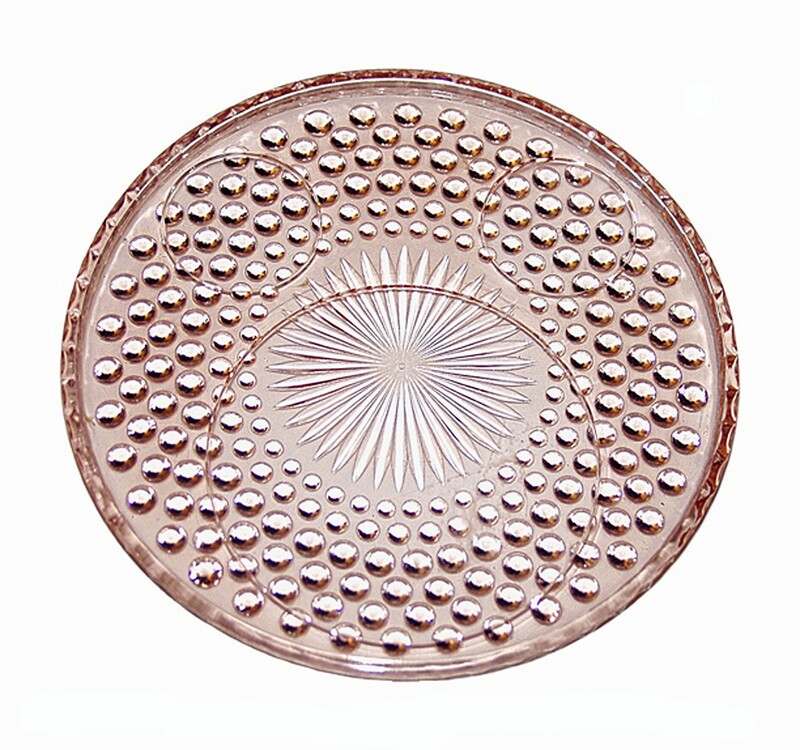 They are best known for the Depression Glass pattern "American Pioneer." Liberty Works was very successful and could have been a one of the major contributors to American glassware, but the plant burned in 1932, and the company never recovered.